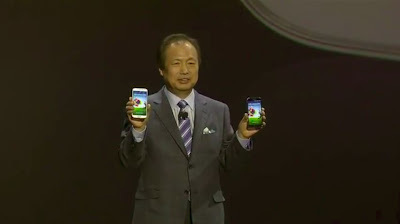 After numerous rumors and hearsay before, Samsung has officially introduced a new device that already anticipated many users around the world, the Samsung Galaxy S4. Posterous launched in 2008. Posterous users can share safely online using Posterous Spaces. Each Space can be customized with privacy settings, dozens of professional themes, and custom domains. Create as many Spaces as you need. Posterous users can set each Space to public or private. Public Spaces can be accessed by anyone, and private Spaces are only seen by who you invite. Posterous take away all the hassle of sharing online, automatically re-sizing and optimizing your photos and videos! Social media overload? Public Spaces can auto post to other popular social media sites. Posterous has continued to find new and better ways to make sharing simpler, more fun, and just plain awesome.